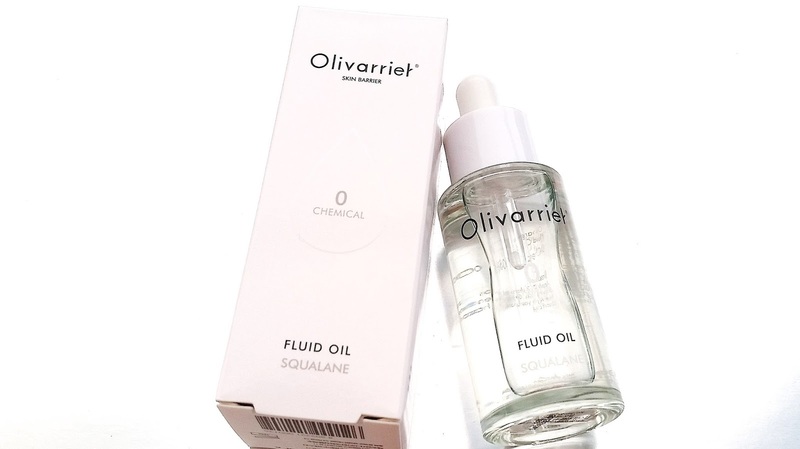 Product Description: Olivarrier's Fluid Oil is made with 100% Squalane derived from olives. The product is colorless, odorless, free of preservatives, and chemicals. Making it great for all skin types. This oil will increase the skin's moisture level and be able to soothe, nourish, and heal the skin. To Use: Take 1 or 2 drops and rub it in with your hands to warm it up. Gently pat your face with your hands until it's fully absorbed. Please Do not use if you are sensitive to its ingredient. Ingredient Spotlight: It's easy to see which ingredient we'll be getting to know here, as this product only has 1 ingredient and it's Squalane. Squalane is a low molecular structure with small particles. That means the skin can absorb it easily and it won't block or clog the pores. This oil is created when squalene oil undergoes a hydrogenation process that turns the unsaturated oil into a saturated one. (Basically Squalene + hydrogentation = Squalane) The main difference between Squalene and Squalane, aside from its saturation, is its stability. Squalane is stable and has a longer shelf life than Squalene's unstable form that can go rancid fast. Squalane is a popular skin care ingredient. It's known for its moisturizing benefits as it can leave the skin moisturized, soft, and plump. The oil is also known for its non-comedogenic, non-irritating, colorless, and odorless form. Making it great for all skin types, even those with sensitive skin. 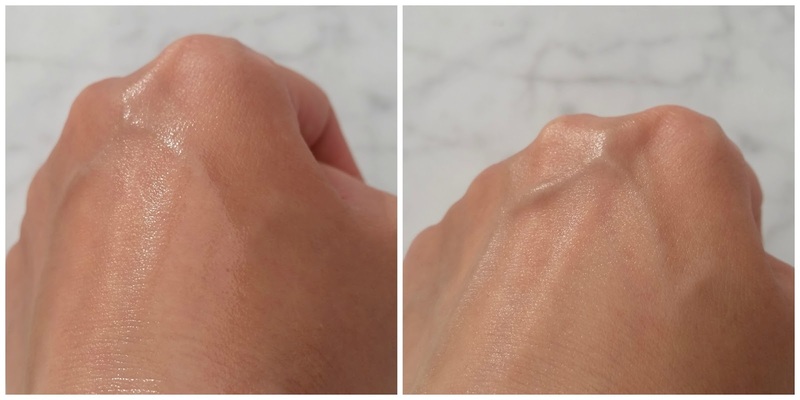 To make it better, Squalane also have the ability to help control excess sebum production, fight bacteria, soothe dry skin, protect the skin from free radicals, environmental damages, and more. This oil sounds pretty awesome by now doesn't it? Well, it gets even better as this oil is gentle enough for even the areas around your eyes and lips. Plus, you can use this oil pretty much anywhere. That means your hands, nails, and even your hair! Packaging: Sleek and simple seems to be the theme these days and I'm totally okay with that. 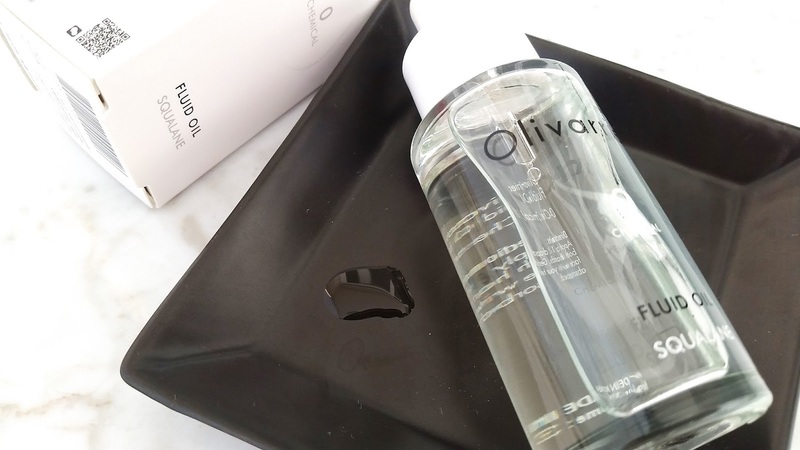 The box packaging for the oil is a simple black and white. It has some information about the product in both English and Korean. 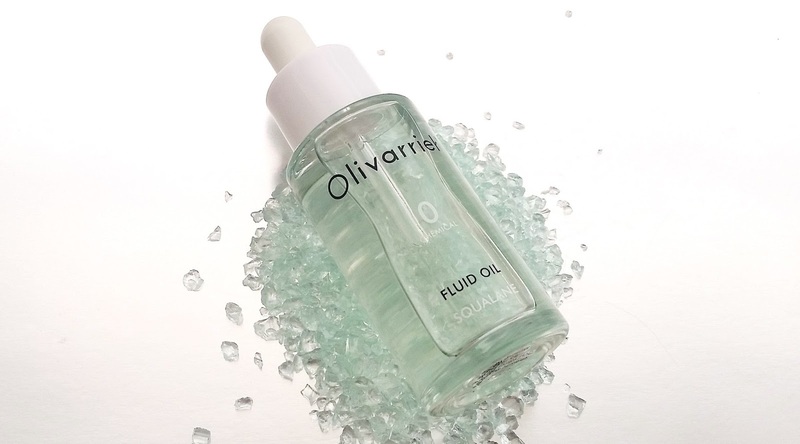 The oil is stored in a clear dropper bottle, as you can see in the picture below. This simple design emphasis the product's natural and pure ingredient. Texture: Oily but not too thick and has a nice slip to it. Michelle's Thoughts: Who would've thought that something as natural as 100% pure Squalane oil could be the product my skin falls in love with. I certainly didn't. I had plenty of doubts going into testing this product, worried that it would make my combo to oily skin even oilier. However, it didn't. Although, for me, it didn't help to decrease excess sebum production either which is disappointing as that's one of its promises. On the plus side, it has managed to provide quite a bit of care to my skin. The biggest being its ability to moisturize and it always leaves my skin plump, soft, and smooth after use. What's even better is that it's 100% natural and pure Olive Squalane, so I know there's no additives or others in it. This means it's great for all skin types, even those of us with sensitive skin. A few things about the Squalane oil surprised me. First is its ability to absorb nicely into the skin. I was worried that it wouldn't despite its claims. However, I had no issues with it. I could put it almost any where in my skin care routine and it would be absorbed by my skin. Personally though, I like to use it after my essence and serum but before my moisturizer as that seems to work best with my current routine. Second, is that it doesn't leave behind any oily feelings once absorbed. This was another worry I didn't need to have because once the oil is absorbed it only leaves a light sheen (like the picture to the right below) but no sticky or oily feelings. 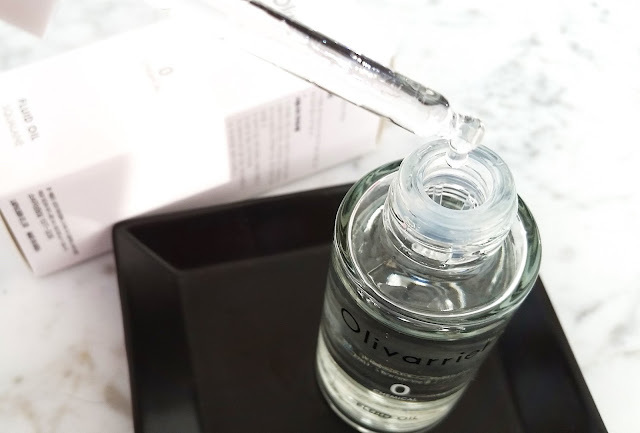 Finally, I was worried that I might upset my skin's water to oil balance by adding an oil product when I already have oily skin. Surprisingly though, the balance doesn't seem to be disrupted. If anything, my skin's been feeling a lot more plump and soft lately. 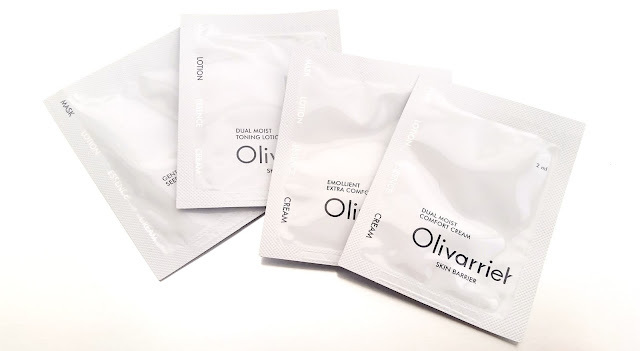 Olivarrier's mask, lotion, and cream samples. Final Thoughts: I think 'in love' might be the words to describe how I feel about this product because it's truly something. Its ability to moisturize is no joke and I love how it makes my skin feel plump, soft, and smooth. A little goes a long way too (I only use 2 drops at a time). So despite the 30ml looking small, it'll probably last me ages. The best thing about this product is that it's 100% pure Olive Squalane. No additives, fragrance, etc. Just pure, simple goodness. Would I purchase it in the future? Yes. With all the products in our routines, sometimes all you need is a pure and simple product and I think the Squalane oil is the pure and simple product for my skin. I love it and I would gladly buy it again for the benefits it offers. Do I think it's worth a try? Yes! If you've never tried an oil in your skin care routine before, this is a good one to start with. It's natural and offers great benefits. It can't hurt, the only thing it can do is help. Disclaimer: This product was sent to me for review purposes. All opinions are honest and my own.